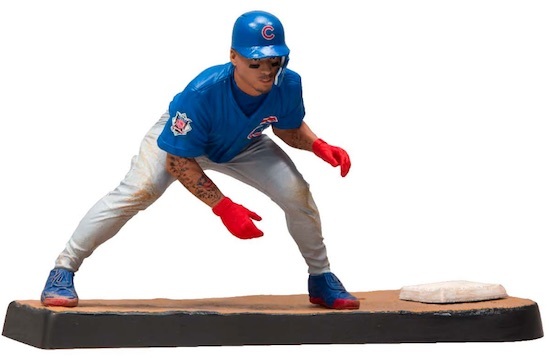 Tapping into the popular video game series, each 2019 Imports Dragon MLB The Show 19 figure includes bonus in-game content in addition to a detailed figure. 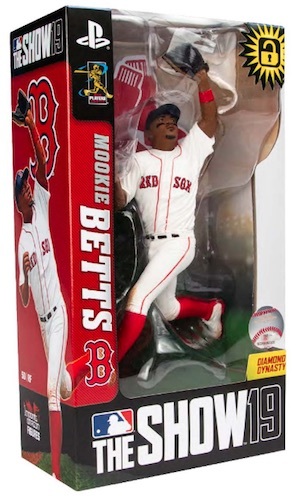 The official MLB figure option, Imports Dragon has released annual baseball figures since 2016. 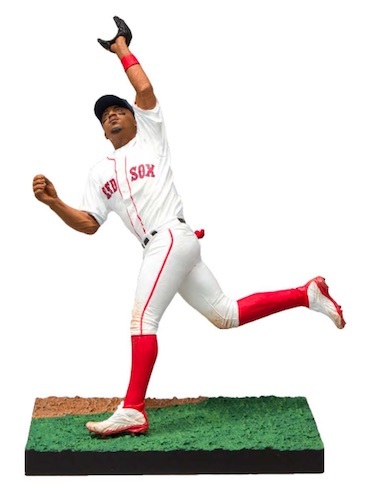 Like McFarlane has done with Madden NFL 19 and NBA 2K19, 2019 Imports Dragon MLB The Show 19 figures bring a video game tie-in. Oddly enough, it appears these figures are a joint effort between McFarlane Toys and Imports Dragon but ID has the main logo on the figure box. The first series of Imports Dragon MLB The Show 19 highlights some of the top players in baseball. 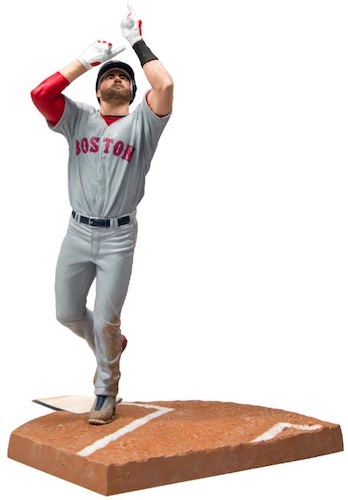 The Boston Red Sox are represented by J.D. Martinez and the 2018 AL MVP, Mookie Betts. 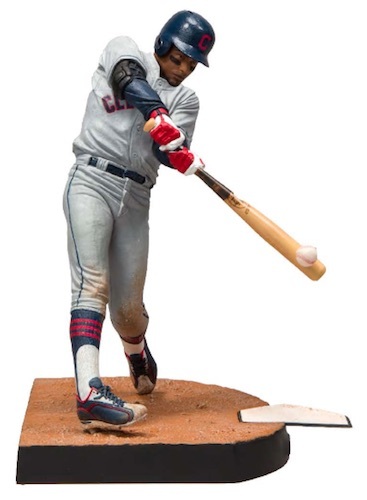 Collectors can find figures for Francisco Lindor, Javier Baez and Jose Altuve, as well. 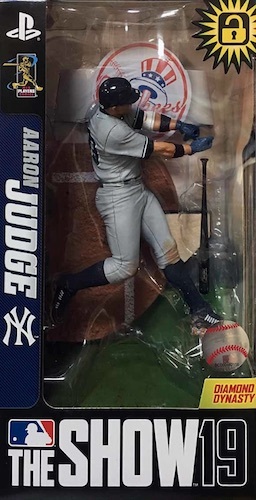 Every eight-figure case also includes a surprise figure for Aaron Judge. Joining the figure, each box comes with a code good for 10 digital packs in MLB The Show's "Diamond Dynasty" game mode. Exclusive to PS4, the 2019 game features Bryce Harper on the cover and releases on March 26. Order MLB The Show 19 video games from GameStop. 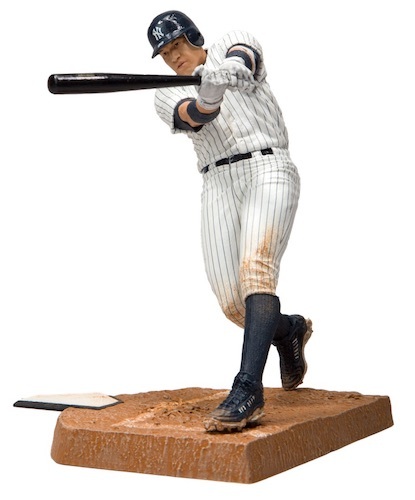 Order figures on eBay using the links below. Shop figures at Entertainment Earth. 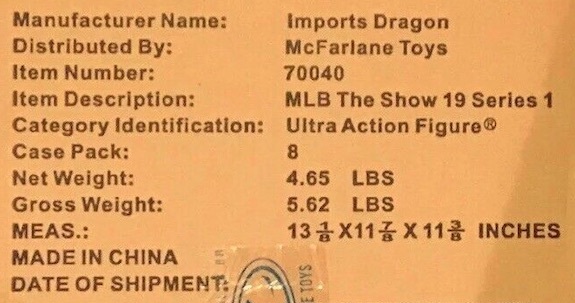 Aren’t these McFarlane’s and not Imports Dragon? It is a joint effort but Imports Dragon is the main brand for the set. 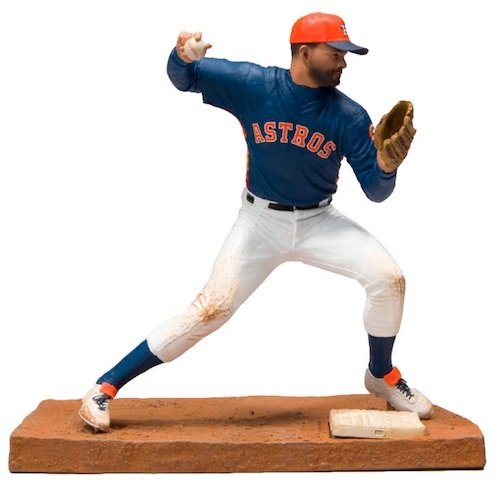 IMPORTS DRAGON 2016 MLB 6" SERIES 1 COMPLETE SET OF 6 FIGURES - IN STOCK!